and required an interpreter -- but court documents indicate the 37-year-old from Micronesia had a lot to say on the night of the alleged incident. their Kohala home Monday night. with a hunting rifle -- that's when she says Thromman started threatening to kill her and their six-year-old daughter and six-month-old son. her parents arrived, but she says Thromman refused to let her leave when her dad tried to step in and stop him. Thromman reportedly said, "'You like me shoot you too? I'll shoot you and the baby. You like me f---ing kill you?'" According to court documents, "Thromman pointed the gun at her and shot her in the area of her right outer thigh. After he shot victim>, Thromman told to sit there. He told her he was going to shoot her in the back of the head. Thromman yelled at that she was going to die that night." 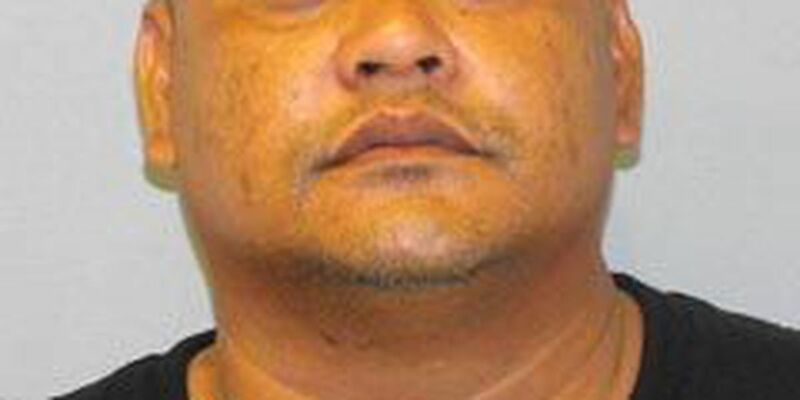 shots at them -- hitting 43-year-old Officer Ray Fukada in the arm before barricading himself in the house. reportedly fired six rounds through the house in the direction of officers before they managed to disarm him with pepper spray. Court documents indicate the day after the standoff ended, Hawai'i Police returned to the home with a search warrant and collected a loaded rifle as evidence. Police say the weapon was not registered within the state and Thromman had no permits to acquire a firearm.